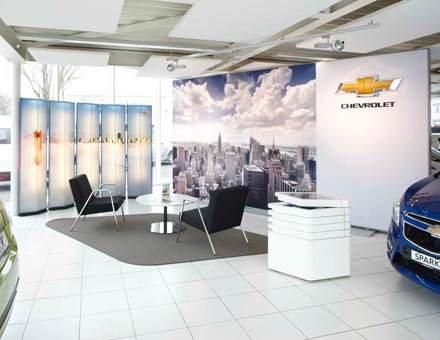 Exterior corporate architecture and interior showroom design. 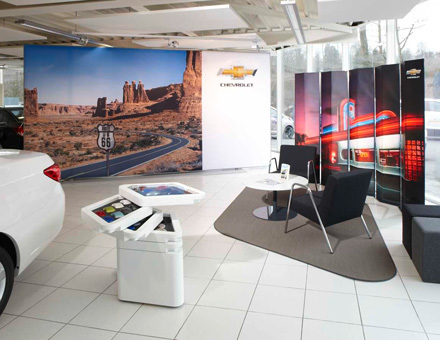 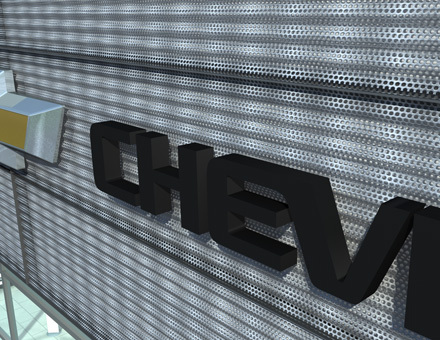 Development of a customized, flexible retail design concept that meets the high standards regarding modularity, functionality, cost awareness and brand presence for the most important brand touchpoints for Chevrolet customers. 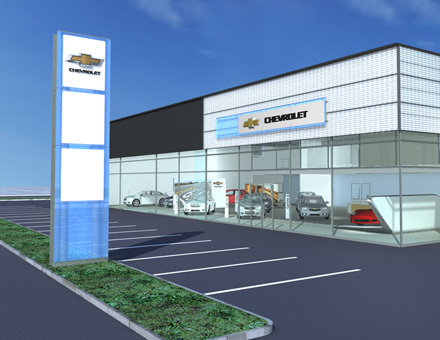 Design of facade and entrance statements, signage elements, showroom furniture, display and POS elements with the respective dealer corporate identity guidelines.